It's a plane! It's a train! Actually, it is a train. And it's not really faster than a bullet. Or even a bullet train. But it is, in fact, very super. It's the train system throughout France, and Europe, and we've made good use of it, especially thanks to our "Carte Enfant +" which is a card we buy in Pippa's name for 70€. The card lasts one year, can be re-purchased annually till she's 12, and means that up to five people who travel with her by train get a discount -- minimum 25% and often 50% -- on rides in France. There are other discount tickets available (frequent business traveler, retiree, large family, etc). The prices can be so low, they're shocking. For example, our two hour train ride to Normandy costs us 30€, total. They're not all this cheap, of course, but it's still a great way to travel -- and nearly always cheaper and faster than going by car. 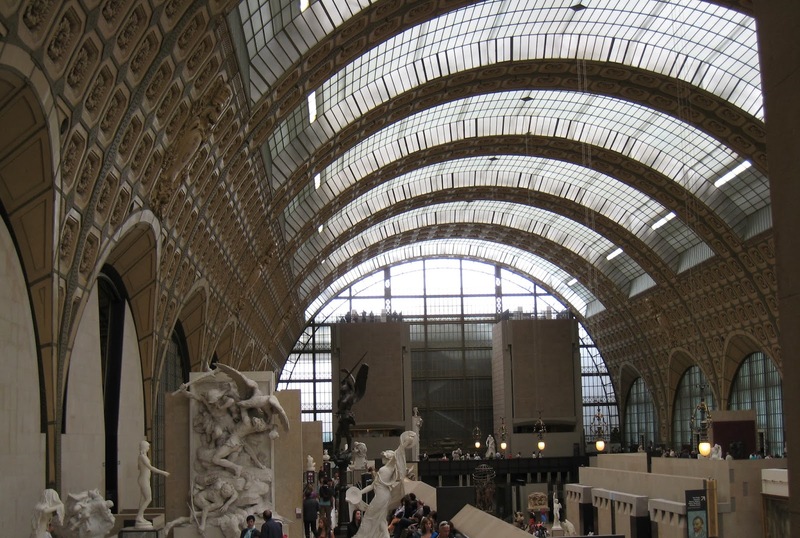 This past summer, the girls and I took the following route: to Normandy, Paris, Avignon, Cinque Terre Italy, Florence, night train back from Munich to Paris, Auxerre Burgundy, Joigny Burgundy, Paris, Bretagne, Paris, Aigle Switzerland, and one final trip back to Paris. Anthony flew or trained to meet us and travel with us for various parts of it, but had to work, so we often came through Paris for the weekends he couldn't join us. It was a confusing and utterly exhausting summer, to say the least. All that train time means snacks at the train station, snacks on the train, card games, story time, snuggle time, sleep time, video games, and even the occasional (mild) motion sickness. While most of our trips are on the high-speed TGV (which runs up to 320kmph or 200mph), our trip to Avignon is on the new Ouigo train. It's equally high-speed, is owned by the national train lines, but is being positioned as the People's Express/Southwest Airlines of French trains in terms of pricing. The downside of the Ouigo is that the "local" station is not actually in Paris but rather a half hour train ride outside of the city at Disneyland, and you have to wait on a long line to check in. It only runs to a few cities, but they are key ones down South. The upside is the price of the tickets: the trains are clean, fast, and comfortable, children cost 5€ each at all times, and my ticket costs 30€ -- for a 3-hour high speed train ride all the way across the country. My ticket would only have cost 10€ if I hadn't been picky about the time and day. 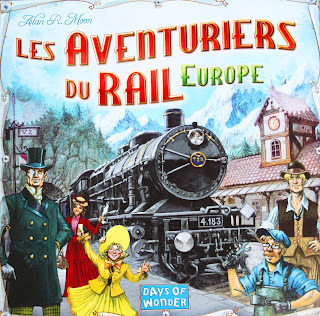 As we train around Europe, our girls recognize many of the names from one of our favorite board games. 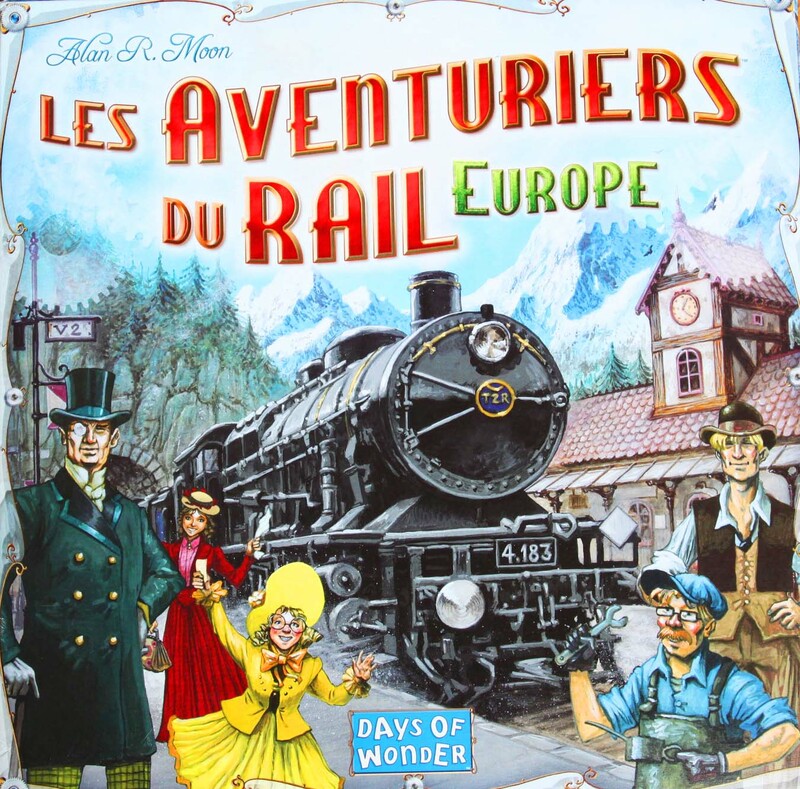 We call it "the Train Game," but its real name in English is "Ticket to Ride," and the French name is "Les Aventuriers du Rail" (Adventurers by Rail). Sometimes it feels like we're in a movie about traveling through Europe or, better yet, a painting. 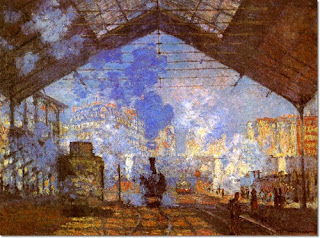 Claude Monet's Railway Station in Paris, a painting of the Gare Saint-Lazare at night, perhaps. This painting hangs at the Musee d'Orsay, which is in and of itself an old converted train station. After all those train rides, we feel like we really need a vacation from our vacation. But exhausting and exhaustive as our travels can be, we remain thrilled by how much better it is to travel by train than by plane. Even in second class, we're traveling in style. I have to admit that the only reason I choose it in the store is because the name sounds similar to the name of the guest I have staying with me at the time, "Sue Mo...." Super-stinky Epoisses is not my favorite cheese, but Alex the cheese-store-guy tells me that the Marc not only makes it orange but also stinkier. Both Sue and I are surprised, therefore, that the non-orange, not-so-stinky Soumaintrain ends up being the star of the platter, and one of the favorites of the grown ups. Soumaintrain can be industrial or artisanal, and raw or pastuerized. Ours is the good stuff: artisanal and raw. It's creamy to the point of runny, especially the longer it stays at room temperature. In fact, it's so sticky and runny, it is actually difficult to pick up the leftovers from the plate, and I have to resort to using a spatula. It is less stinky than its orange cousins, but it's still strong with a distinct funk, but then comes a surprising aftertaste: sweet. Turns out it's missing the acid/bitter aftertastes of its orange cousins, too. Broken down into syllables, this cheese name sounds like "sous main train", meaning "under hand train." So it both contains the word train, and it sounds like the little train pieces of our game which are, literally, under-hand trains. Not like when Pippa cheats, which is underhanded trains (her most famous family quote after an aggressive move by her sister: "I just cheated for nothing! ").